“The Loop Road” is a 70 mile scenic drive that starts and ends in Lander. 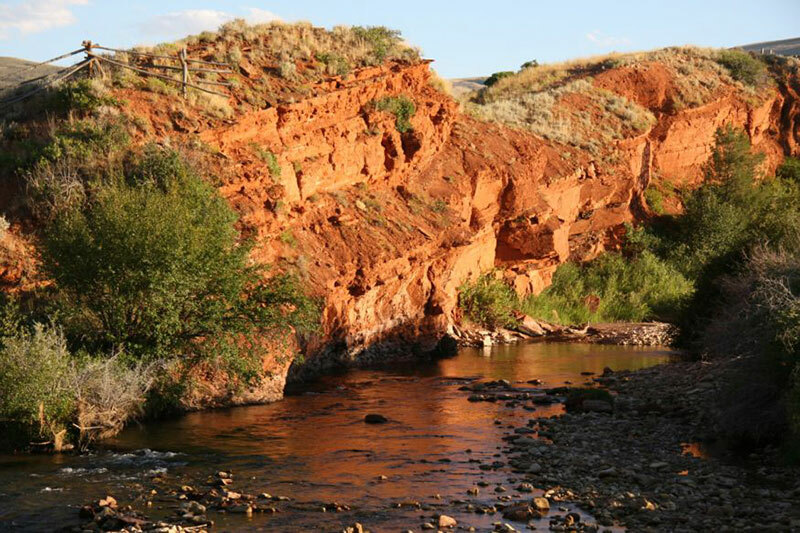 The trip goes through Sinks Canyon, up the steep “Switchbacks” into the mountains, passes several high mountain lakes and comes back through the South Pass area and Red Canyon. The road is paved from Lander to the Worthen Reservoir turn off. From there it is a one lane gravel road with turnouts. The gravel portion lasts 19 miles and can be rough. The road climbs to its high point at Blue Ridge at 9500.’ It drops into Louis Lake and out to Highway 28 where you can turn south to visit the Atlantic City and South Pass City, or north to return to Lander through Red Canyon. You can access a map of the Loop Road here in the Maps area of this website. 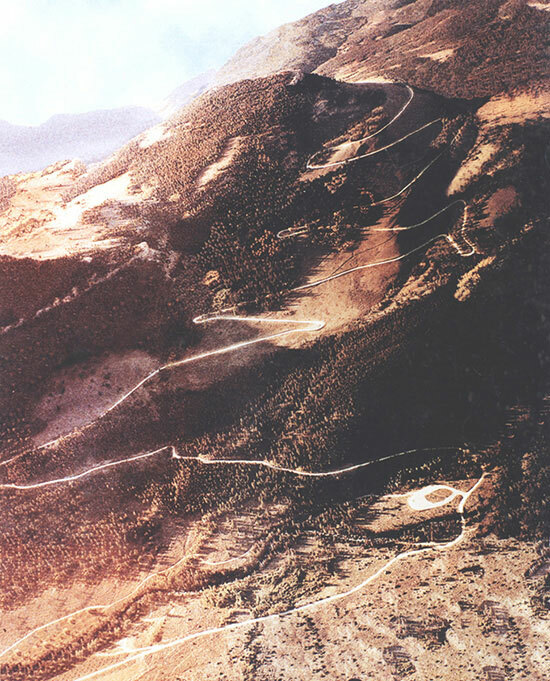 This photo by George Mattocks was taken from an airplane and shows the switchbacks before the road was paved. The trip starts by heading south on Highway 131 out of Lander. Four miles outside of Lander Table Mountain comes into view to the left. It is a long, flat-topped mesa. 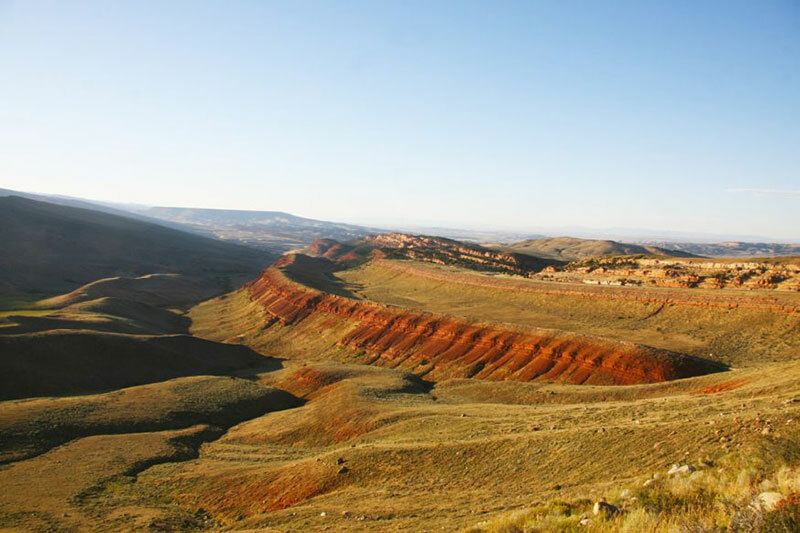 In front of the mountain are large outcrops of bright reddish orange rock called Chugwater Sandstone laid down during the Triassic Period over 200 million years ago. The highway enters Sinks Canyon crossing under tall sandstone cliffs at 5 miles. The Rise of the Sinks and the famous trout pool are one mile further up the road, with the Sinks cavern a quarter mile beyond that. 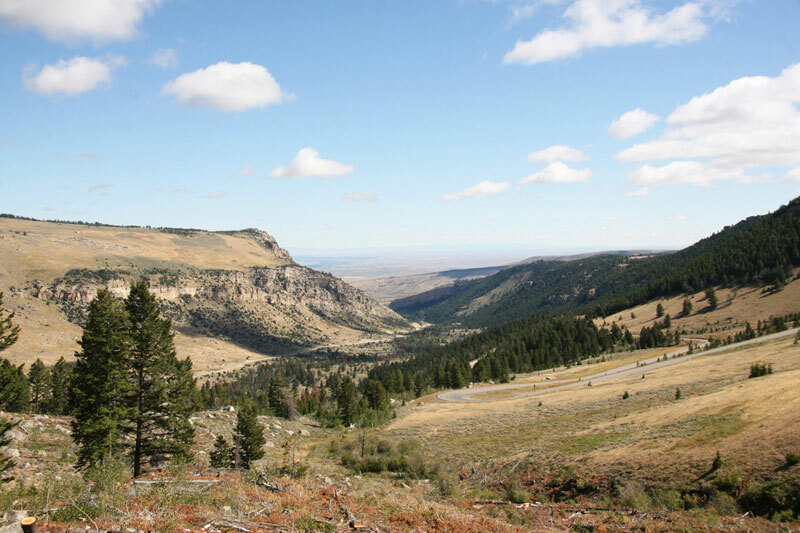 At 8 miles you cross out of the state park and onto the Shoshone National Forest and continue up the canyon to Bruces Picnic Area (named for an early Forest Ranger in the area). At Bruces there is a large parking lot where you can park if you want to hike the 1.5 miles to the Middle Fork Falls, where the river drops into the canyon. The road begins to climb up the steep switchbacks after Bruce’s. Even though the road is paved, there are hairpin turns and steep drop-offs, so drive carefully. One you crest the ridge you get a panorama of some of the southern peaks of the Wind River Mountains. 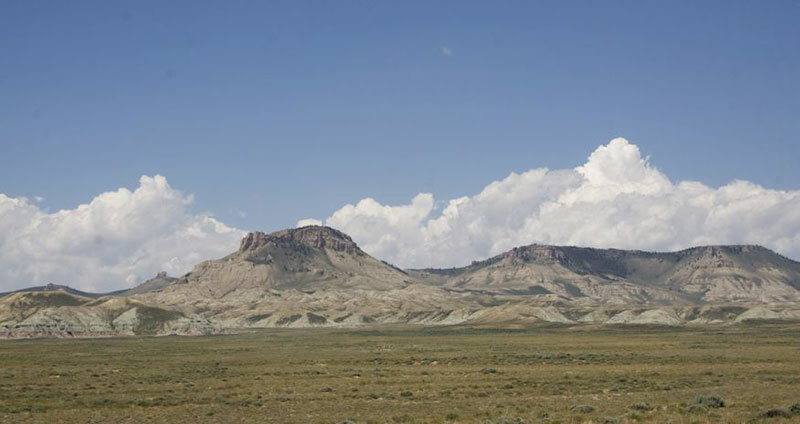 The tallest peak on this end of the range (which stretches another 100 miles northwest) is Wind River Peak, a large hump shaped mountain 13,192 feet tall. The peak is in the Popo Agie Wilderness and can only be reached on foot or by horseback. 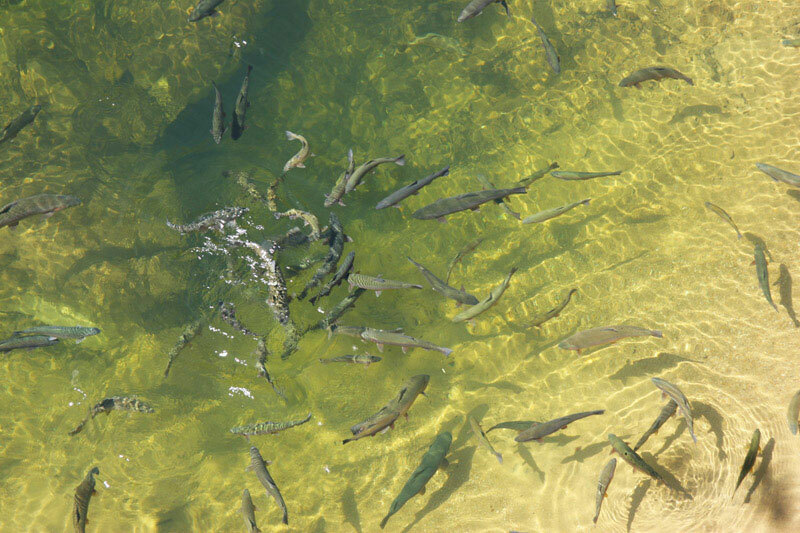 The Rise full of huge trout. 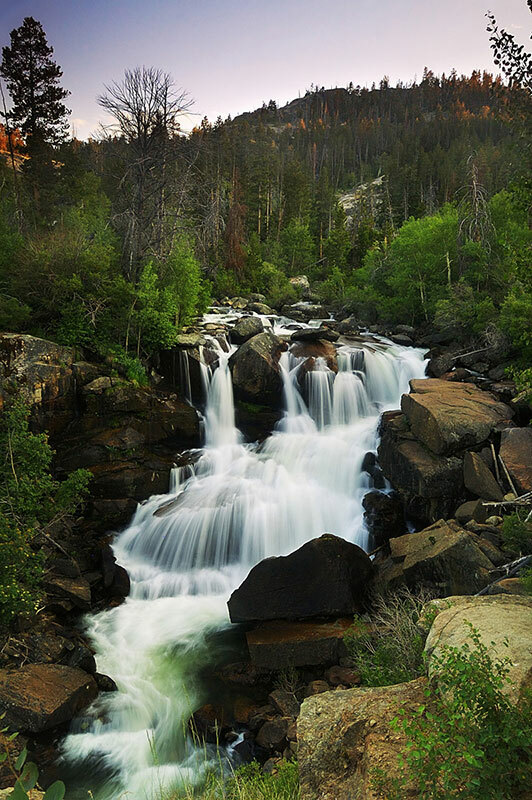 This shot of the falls was taken by Tori Jones and won the Sinks Canyon State Park Photo Contest Best of Show in 2008. The view back down into Sinks Canyon from the Loop Road. A mile beyond Frye Lake you come to the junction. The road to the right goes into Worthen Reservoir. 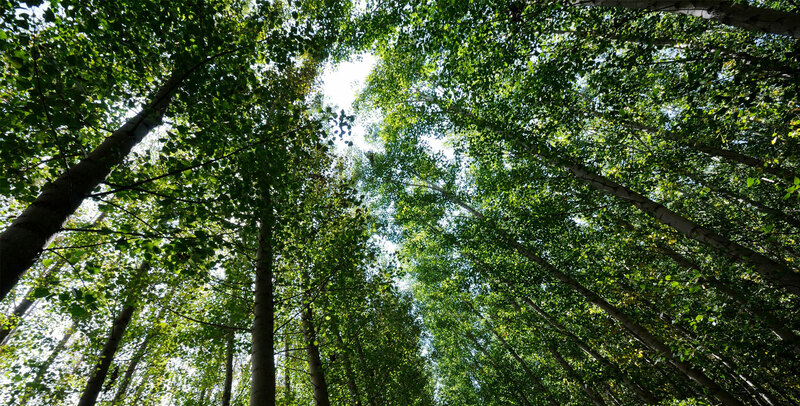 It is three miles into Worthen on a narrow gravel road. 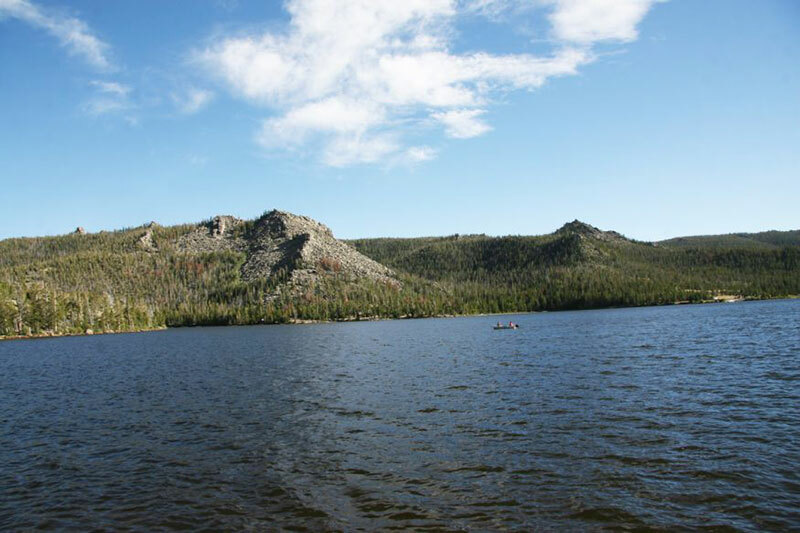 Worthern is a large lake has National Forest camping and picnic areas and two backcountry trail heads (The Roaring Fork/Stough Creek Trail and the Sheep Bridge/Middle Fork Trail). There are also corrals of horse packers. There is drinking water, fire grills and pit toilets at this fee campground. There are no hookup here or at any of the campsites along the Loop Road. At twenty miles from Lander you come to Blue Ridge, at 9500’ the high point of the road. At the top there is a parking area and to the right a ½ mile trail leads to the old Blue Ridge fire lookout. The trail is steep, but leads to a large rock outcrop (elevation 9840’) with a spectacular view of the surrounding area including the Wind River Mountains, the Owl Creek Mountains, and much of the Wind River Basin A fire lookout was built on the outcrop by the Civilian Conservation Corp in 1938, but is gone now. Fiddlers Lake is next at 22 miles from Lander. 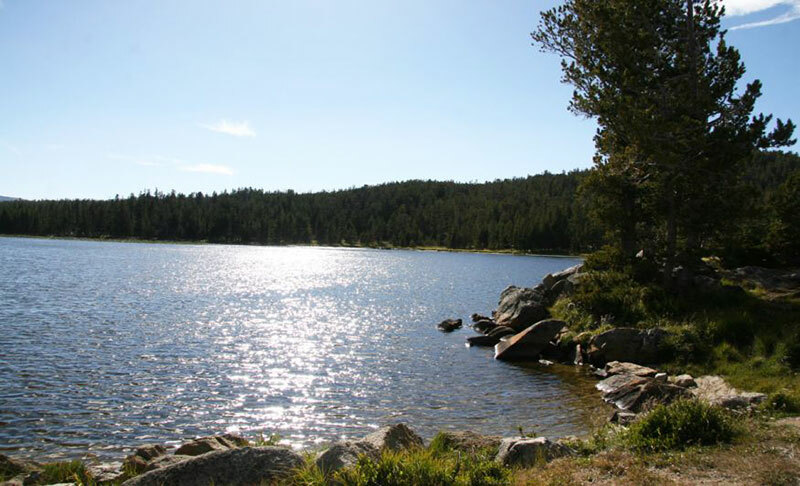 The lake is at en elevation of 9411’ and has a handicap accessible Forest Service campground with a fishing pier and trail. The fee campground has drinking water, tables, grills and pit toilets. The Christina Lake/Silas Canyon trailhead is located just past the lake. 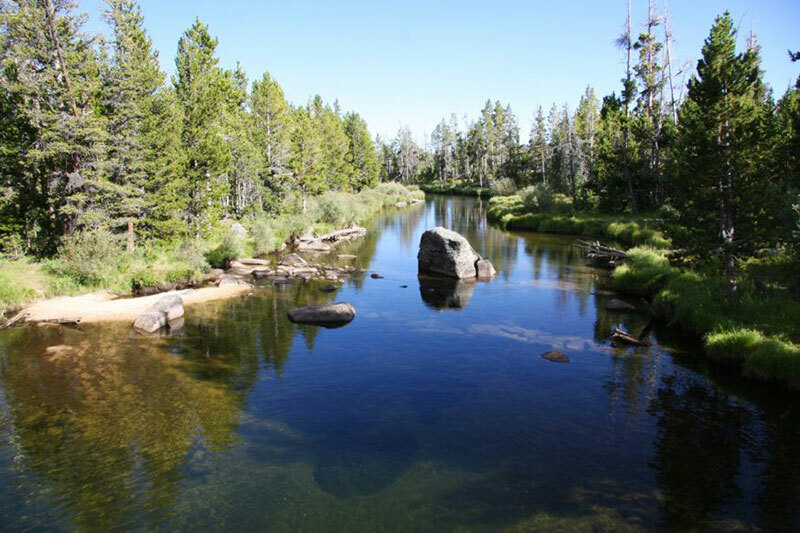 Twenty five miles out of Lander you cross the Little Popo Agie River (one of the three Popo Agie river in the drainage, the Middle Fork in Sinks Canyon, the North Fork and the Little Popo Agie). There is a small campground here. The popular Louis Lake area is a mile beyond the Little Popo Agie. 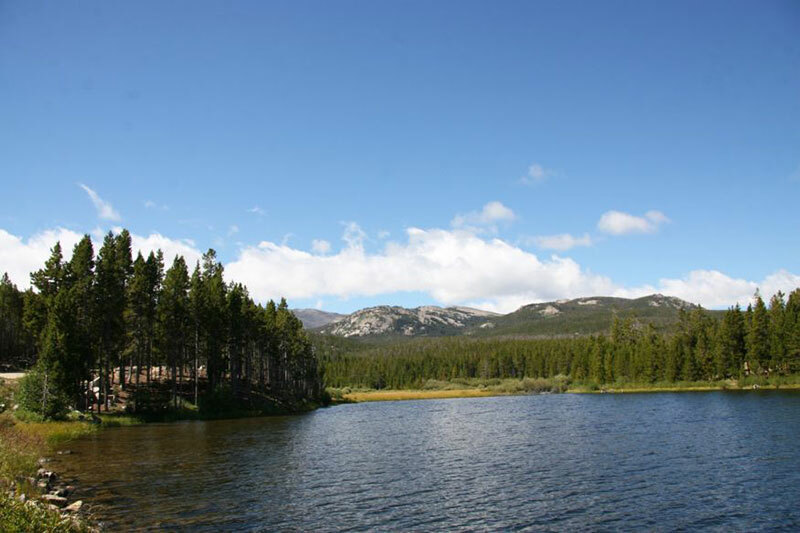 Pronounced “Lewis” or “Lew-ee” Lake, there are picnic areas, and campgrounds. The Louis Lake Forest Service Guard Station and Lodge are by the lake. Built in 1937, the lodge offers cabins, boat, bike and fishing equipment rentals. The lake its are an elevation of 8500.’ Rainbow, Brown, and Brook trout are all in the lake as are Mackinaw. At thirty miles you come to Grannier Meadows (named for Emile Grannier, a gold miner in the region), a large grassy area. All along the Loop Road you may see Moose, Marmots, Mule Deer, Pronghorn Antelope, Elk, Blue Grouse and many other animals. Drive carefully as much of the Loop Road is narrow, has blind curves and is heavily traveled both ways. 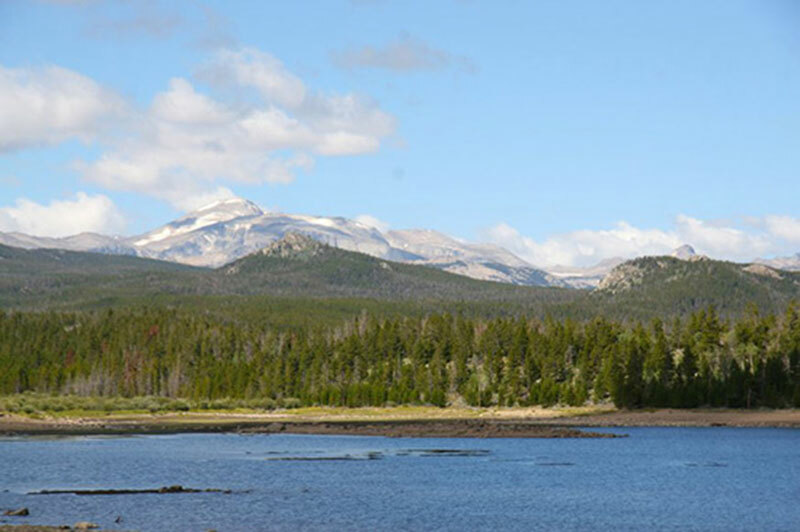 Frye Lake with Wind River Peak in the distance. As you continue to drive you start to see the Oregon Trail country to the southeast. 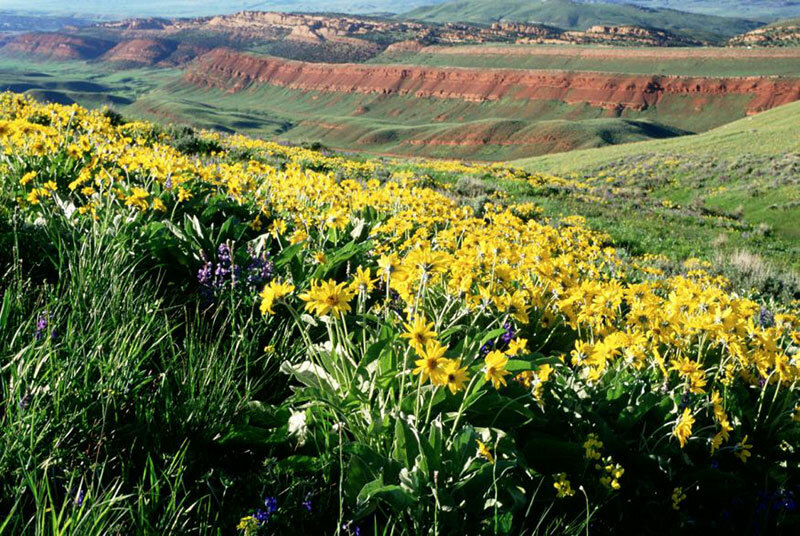 The prominent flat topped Oregon Buttes and Continental Peak come into view. 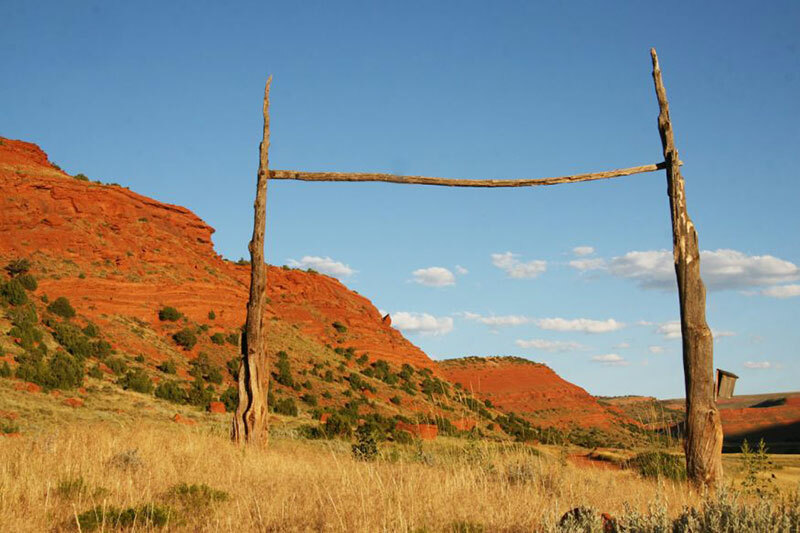 These were significant landmarks for pioneers on the Oregon Trail, which ran near them. The Continental Divide runs across South Pass. Used for centuries by Native Americans to move across the divide, it was discovered by white fur trappers and explorers. Finding an easy route across the Rockies led to the migration of over 350,000 settlers to the west coast. At 35.5 miles you come to the junction with highway 28. Here you can turn right and go another 8 miles to South Pass City, a state historic site on the National Register of Historic Places. 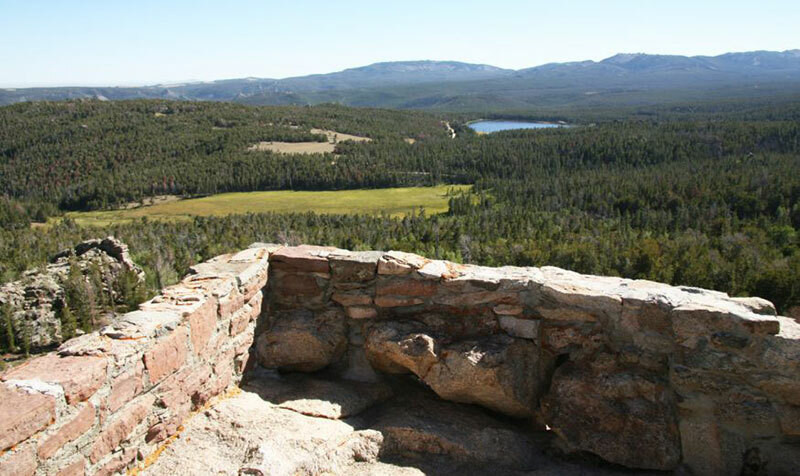 South Pass is one of the most authentic and complete historic sites in the country. 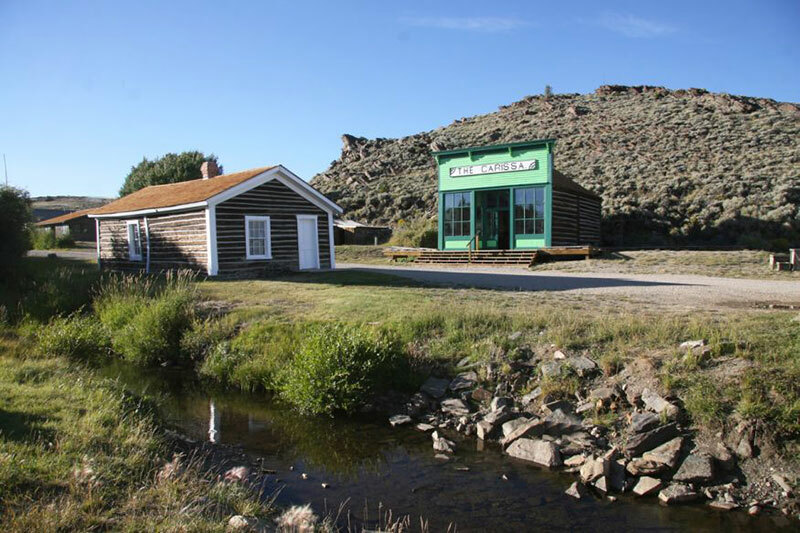 Founded in 1868 when gold was discovered there, the town quickly became the largest in Wyoming Territory with over 2000 people and 300 buildings. The boom ended quickly though and the town was nearly abandoned. Today there are 29 historic buildings on the site, most fully restored inside and out and open to the public. These include the Carissa Saloon, the old schoolhouse, the general store, houses, the hotel and jail. Back at the junction of highway 28 turning left heads back towards Lander. On the way you pass through the old U.S. Steel Iron Ore mine. Reclamation of the open pit is still going on, but most of the mine buildings are gone. The mine was opened in the 1960s and closed in 1983. At 42 miles on the drive you come to the turn off to Limestone Mountain and the Wild Iris rock climbing area. The Large dolomite cliffs are world famous for the difficult climbing routes. As you head for Lander you come to the rim of Red Canyon, a large exposure of Chugwater Sandstone. The spectacular cliffs red color come from oxidized iron in the formation. The canyon is especially colorful in the evening as the late afternoon sun lights up the red rock. From Red Canyon it is another 18 miles to Lander. Old Buildings in South Pass City.